Today I was searching for a free drafting program my students could use for class. In my search for a simple, user friendly, basic floor plan website, I discovered floorplanner.com. 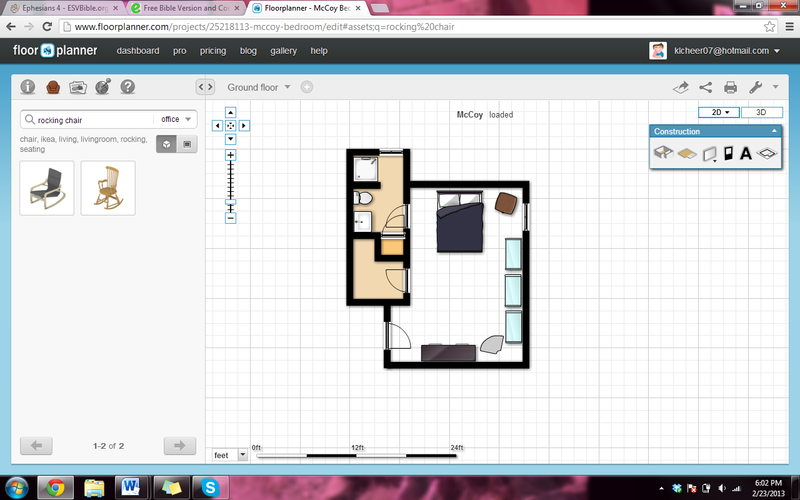 This website makes drafting out your floor plans a breeze! I drafted out the floor plan above for my students in about fifteen minutes this afternoon. Try it out, but beware… it’s extremely addicting! This entry was posted in Design, Drafting. Bookmark the permalink. Yes, that is a nice site. It makes everything so simple and all the tools you need. I like saving my projects and coming back to make revisions later.